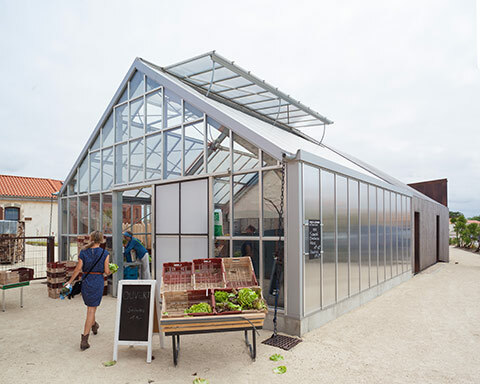 "The Marais Girard greenhouse pays tribute to the agricultural past of the farm. 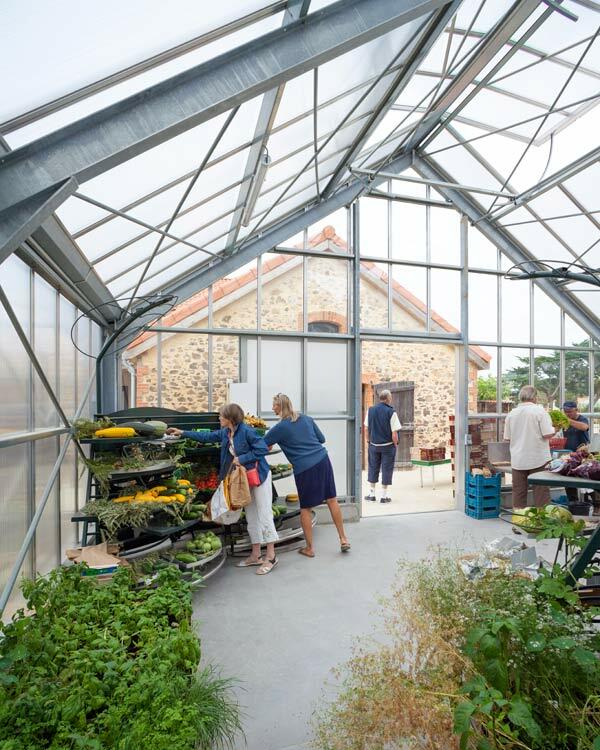 A real Maraîchine greenhouse, which integrates beautifully into the architecture of the site, creating a link between the workshop and the catering kitchen. The Greenhouse, new apartment 2019 ! During the winter, its becomes an orangery , allowing citrus and other plants susceptible to the frost to be protected. In the summer , it ecomes an unusual apartment : the villa “La serre” for 4-5 persons. Laurent Logeais and his companion Pétra,market gardeners at Brem sur mer, obtained the AB (organic) label in 2009. In April 2015, they agreed to be the official suppliers of organic vegetables for the Farm Marais Girard. In the spring, Laurent will develop a plot of 1000m2 on an educational vegetable garden. Marylou will of course, collect and use the fresh vegetables to prepare her delicious dishes! 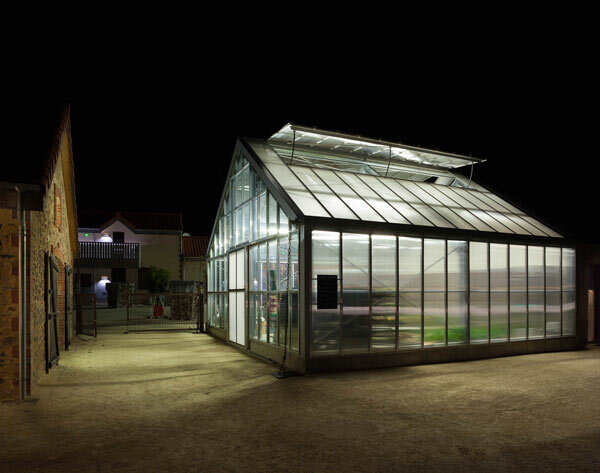 The greenhouse was designed by the Vendeen company “ Marchegay”. They develop different ranges of produces for agronomy research,garden centers and botanical gardens.